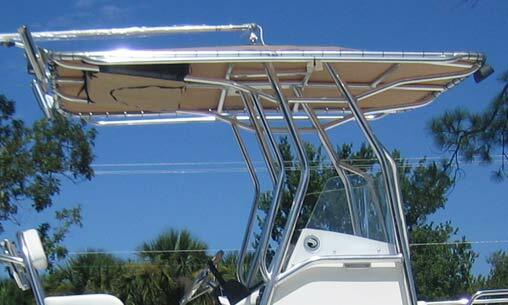 EdgeWater 188 CC - Go where you want. And back ! 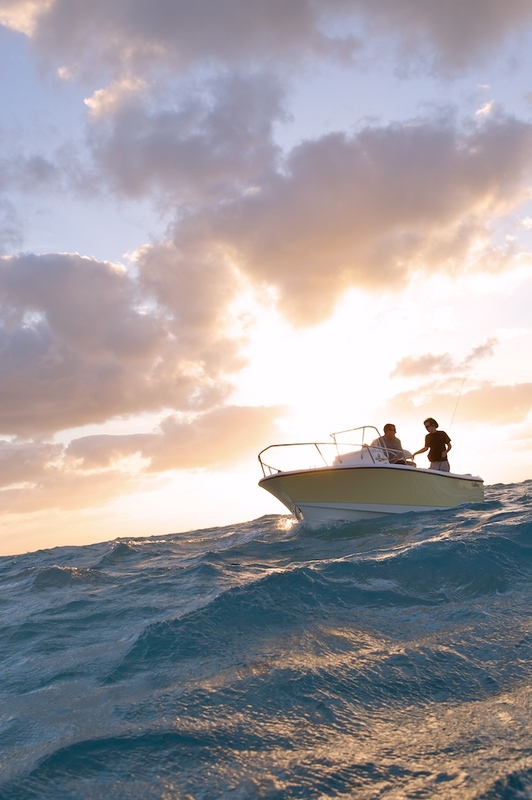 The rougher the weather the more you will appreciate our 188CC. Thanks to a deep v hull design, it performs brilliantly in a chop, shrugging off waves and keeping all your passengers dry and perfectly comfortable. 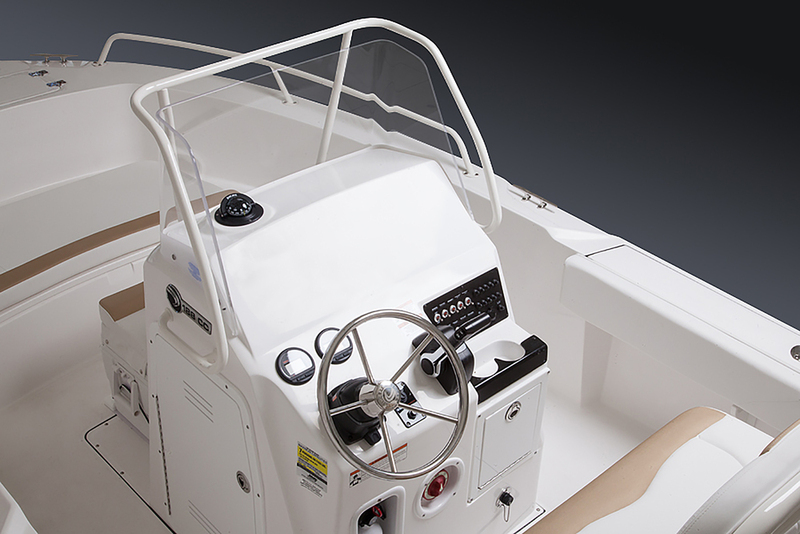 The fully encapsulated PermaGrid stringers and foam-filled hull design also mean that no matter how nasty it gets, you have the peace of mind in knowing you are riding in a super-strong and totally unsinkable boat that will take you anywhere you want to go. And back !!.. 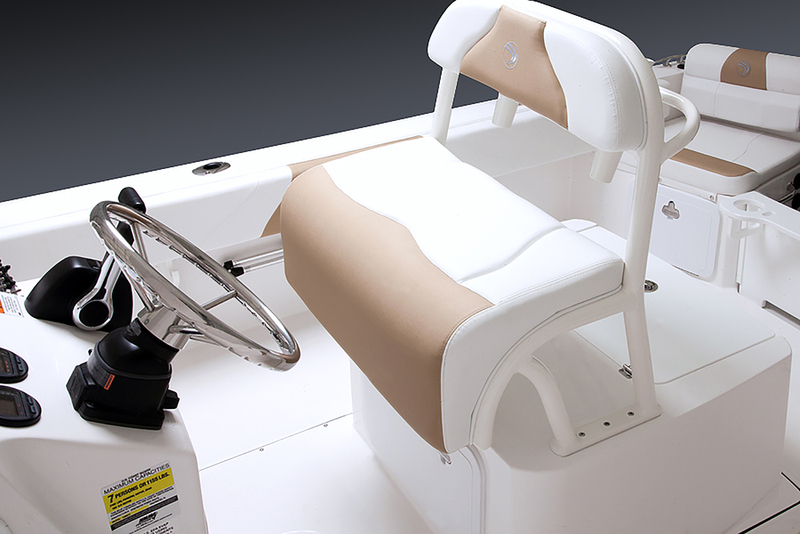 Heavy-Duty Marine Grade UV Resistant Vinyl Upholstery, Leaning Post with Backrest, Silver Rod Holders (2) & Storage, 54QT Console Cooler Seat w/ Cushion & Backrest, Transom Quarter Seats w/ Cushions & Backrests (2), Transom Jump Seat Storage Compartments (2), Bow Anchor Locker with Drain, Helm Seat Storage Compartments (2), Helm Storage Bin Aft Facing Seat Cushion, Mounted Rod Holders (2). White Rubrail Insert, Removable Ski Pylon, Full Bow Rail, Fishing Package with 17 gallon livewell, raw water washdown, extra pair of rod holders, and built in tackle boxes, Bow Cushion.